[center]INVITATION TO A NEW ERA is when the world was once covered in ashes, and it has recreated itself into something new, something better. Weeks which seemed like months and months which seemed like years, life was being created upon this world. As the new settlements called "Villages" began to rise. Things began to accelerate and advance far before anyone would have ever predicted or imagine. Some villages increased in freedom and tranquility as well as peace and trust, while other villages decided it was best to do them and have everyone else worry about themselves. Everything is where it needs to be, the first war hasn’t been waged yet, and the chuunin exams are right around the corner. Right now, everything and everyone are/is at peace with it/themselves. 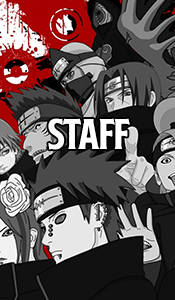 Be the next hero of the Naruto Lands Of Shinobi just like naruto by taking advantage of all the content customization available to you in assistance towards your overall goal. Once you join you will have the ability to create the strongest of all jutsu or simply upgrade weaker ones, produce powerful equipment and weapons as well as establish you own great organization. Watch as your character growers stronger and stronger from battles, missions and experiences and your RP becomes more and more better in the NLOS world. Gain Equipment and Jutsu from joining Plot or Event related mission and be part of the much larger picture. Although plot and event mission are the best ways of being part of plot effecting occurrences you will also be able to act freely as you wish, maybe decide to overthrow a village Kage though not recommended without powerful acquaintances. Please join use at http://narutolandsofshinobi.pro-forum.co.uk/ we look forward to seeing you there. Why... why do they have our advertisement picture? I am actually calmer than I was than while making my app. I have no anger in making the decision that i did. Now I just have to find a forum to go on.